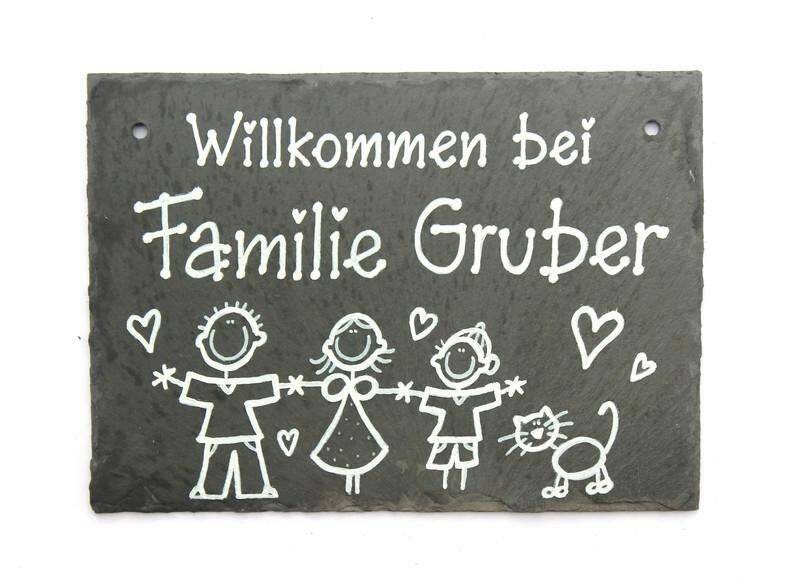 Slate sign, family sign, door sign slate, name tag, slate, slate plate hand painted/labeled. Slate Door sign name Shield family. Suitable mounting kit for the version with 4 holes is also available in the shop. To be found in the shop department "accessories". Slate is a 100% natural product, naturally grown by deposit and therefore ecologically valuable. Natural product also means that irregularities exist in the structure and are also wanted. The edges and corners are never completely the same, even this makes this product so unique.